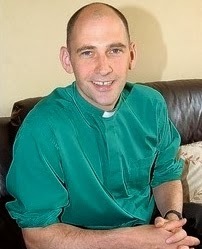 • Reverend Dr Keith Hebden of Mansfield Parish, Nottingham will begin a 40 day water-only fast on Ash Wednesday (March 5th) as part of the End Hunger Fast Campaign. A new national grassroots campaign, End Hunger Fast was announced last week, as faith leaders called on the UK Government to act on the growing hunger crisis in Britain. Over half of people using foodbanks have been put in that situation by cut backs to, and failures in, the benefit system – whether it be payment delays or punitive sanctions. • A fasting relay, with forty high profile faith leaders, celebrities and food bank volunteers passing a fasting baton. “The Government has a duty of care to act and provide a basic safety net for its own citizens. But with so many relying on food banks, people having to chose whether to eat or heat their home, it seems it is failing in that duty. “I believe the Church should stand in solidarity with the poorest and most vulnerable. I will personally be eating no food for 40 days till Holy Week to show how strongly I feel about this issue. See point 1 in ‘Conclusions of Research’ on page xii of DEFRA report available here. This refutes previous Government claims that increased supply of food aid was driving increased demand. According to the Department of Health there were 3,161 hospital admissions as a result of malnutrition in 2008/9 and 5,499 in 2012/13. Full figures available here. • Immediately undertake a full independent inquiry, reporting directly to the Prime Minister, into the relationship between benefit delay, error or sanctions, welfare reform changes, and the growth of food poverty and commit to implement its recommendations. • To monitor, annually, the extent of hunger in the UK and commit to robust 2020 targets for its reduction. • To begin a phased increase of the national minimum wage to a Living Wage, crucial to making work pay. • To work with legislators in Europe to curb financial speculation on food markets, which are partly responsible for food price inflation in the UK.